It’s time to start thinking of gift ideas for Mom. With the end of April just around the corner and May quickly approaching, there really are just a couple of weeks left before Mother’s Day. And, what’s nice is that you still have time to make a sweet gift for the special day. Here are a few ideas to help you out! 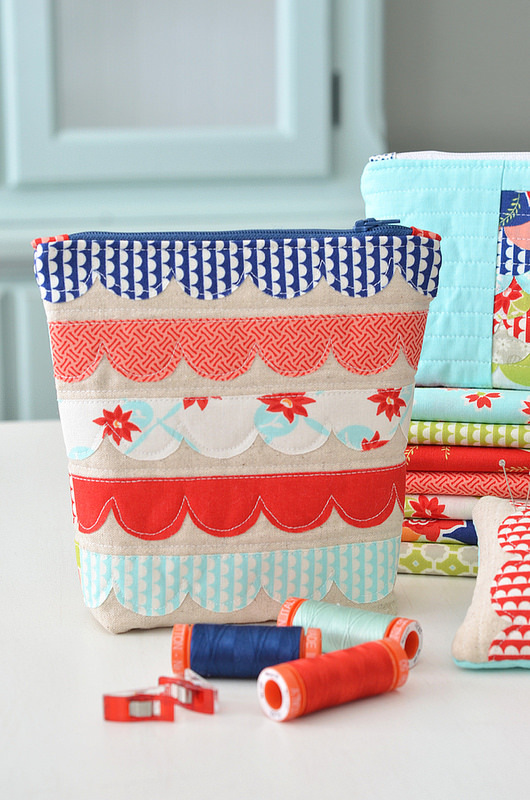 And, these ideas are great for Moms, Grandmother’s, Aunts, Sisters or your quilting friends! First up is the “Sundae Scallop Sewing” pattern which features a fully lined zipper bag, a cute pincushion, and a scissor pouch. Make one or make the whole set, and add in some favorite thread, new pins, and binding clips. Mom can use the bag to store sewing supplies, or to keep small projects organized for traveling. If you already have a gift but are looking to package it in a special way, the pieced Courtyard Steps bag might be the perfect solution. This bag is perfect for adding in a purchased gift, a gift card, or for filling with sewing notions and Moda Candy just for Mom. It measures a perfect 7″ x 8″ tall. 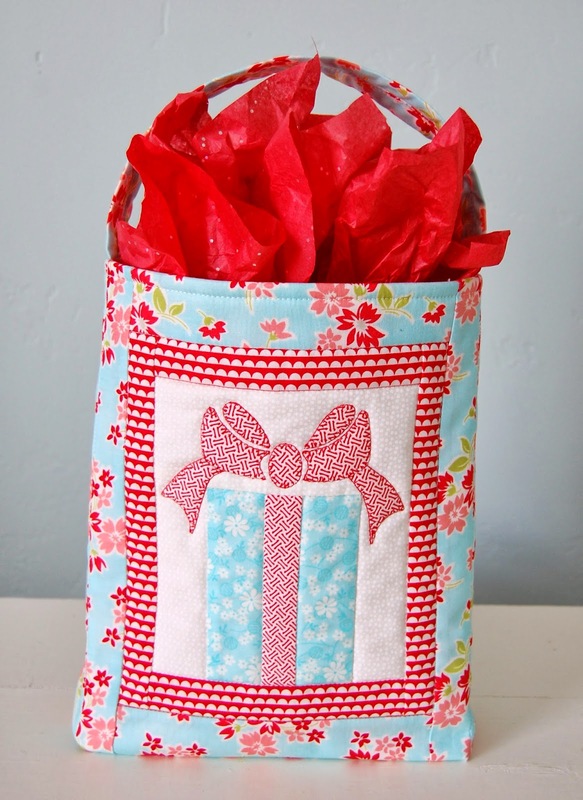 Or make the slightly larger gift bag included in the same pattern which measures 9″ x 11″. You could probably even fit several fat quarters in this bag. Why not fill it up with a new rotary cutter or scissors, too? These bags are the perfect wrapping for your gift, and they also make a fun gift in and of themselves. 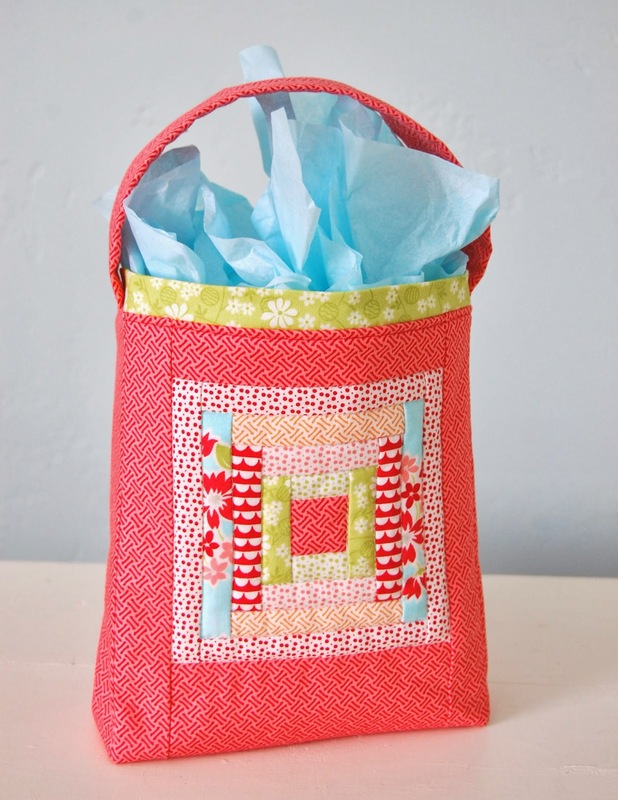 Or, how about a handmade pot holder made with Moda candy squares? This one was made with one layer of batting, one layer of “Insul-Brite,” and a fun backing. Some simple straight line quilting holds all the layers together (use an even-feed or walking foot to make this easier). If you round the edges of your potholder, remember to use bias binding. 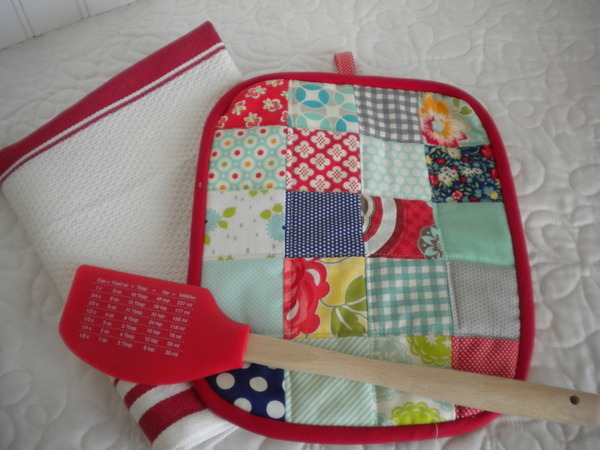 Add a coordinating dish towel and a spatula, and you have the perfect gift for Moms who love to spend time in the kitchen. Binding clips (mentioned above, but you can never have too many)! I love just about anything handmade. Especially those things that (1) either clearly reflect the personality of the maker or (2) show that the maker has truly made it just for me (personalization, monograms, my colors, favorite designs). All great projects. I was just reminded of those hotpads on Sherri McConnell’s page,too. That must mean I’m **supposed** to make some of those today! I am searching on this site for Blocks 1,3,8,17,21,26,29 &30 of the Moda Quilt Along 2013. I have a lovely bundle of Barcelona Fat Quarters and want to make a sampler quilt. I have all the other blocks, can you help me please?